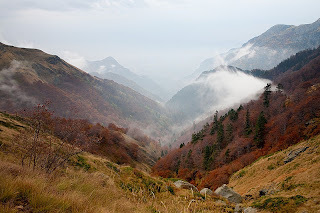 This extremely beautiful alpine massif is located in the central part of Balkan Mountain , immediately beneath south-eastern slopes of peak Botev . It is constituted of gigantic rock belt with rounded and rolled rocks traversed by herbal balconies . The height of the massif ranges from 100 to 200 meters in his different parts. 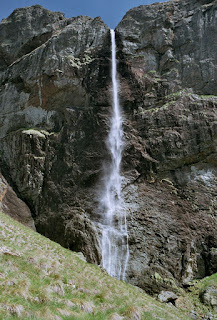 The waterfall “Pruskaloto” (Sprinkle) separates Elysian massive on east and west. 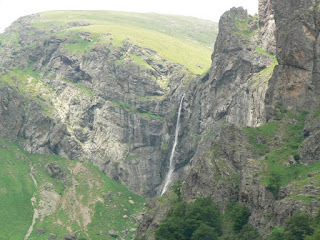 The west part of it is situated on the left side of the waterfall. It is characteristic with alternating doorway an one over another located rocks, with many herbal balconies . The eastern part is more bluff and monolithic and there is explicitly slatey character. The rocks of the massive are built by gneisses and granites, the cardinal saxicolous mass – from thick diabases and Filithes stratified on calcareous settlingses. Their surface is flat in most cases and therefore is friable. This makes danger from falling rocks and stones. On the other hand, slits are superficially which limits opportunities for safely knocked alpine pitons. 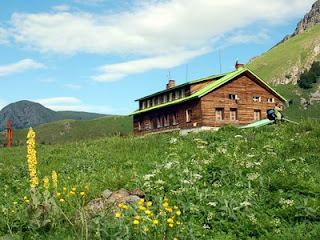 The first attempt for climbing the walls around hut “RAI” (Heaven) are from 1949, when Tzanko Bangiev, Ivan Staikov and Blagoi Hristov have attempted for the first time to climb the eastern part of the array. The southern slopes of Peak Botev are hard inclined, and in some places cutoff from plumb rocks. Immediately under the peak are located the site Djendema (meaning “the hell”) and hut RAI. These are two huge labyrinths by rock-precipices as well with the falling waters of the mountain streams. They bring beautiful waterfalls, being named at this end “sprinkles”. The Djendem is the most un accessible abyss in the Kalofer mountain. 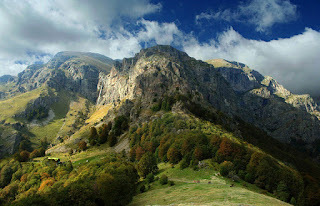 It is enclosed by bluff southwest slope’s of the Maluk Kupen and the northeast slope’s of Chafardica called "Chamluka". Between them with deafening noise had dripped the river of Kalofer Sprinkle, eastern from the peak of Haidut. The homegrown population name this precipice Елидере (50 rivers). The Heavenly rocks are located over the Djendem and they are an exact opposite of it. Its most important part is the elysian sprays the most beautiful and most amazing waterfall in Bulgaria. Its beginning from the Kalofer river, that water beginning from Venia Snejnik southern sub-peak Botev. The waters fall under the southern slope of Botev and as reaching the elysian rocks take 130 - meter of jump. The southern slopes are traversed by bluff walls at peak Botev, which institutes a rocky belt surrounding the south side in the 1700of the peak to nearly 2100 м.